Join MBS and Direct Color Systems for a UV LED technology showcase in the Washington DC Area. 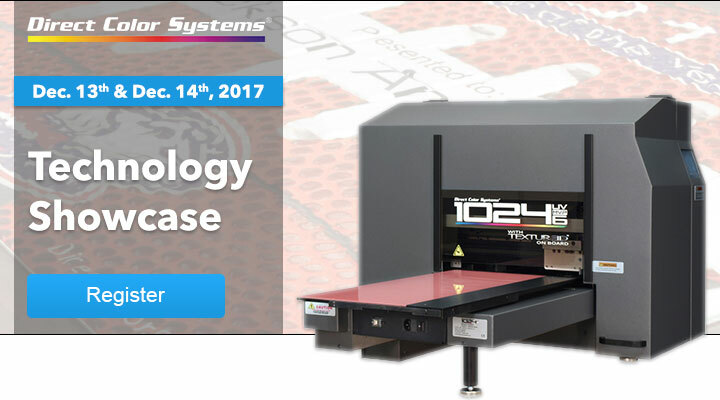 This is an opportunity to see printed durable, full-color, photo-quality images, logos and text on wood, metals, ceramic tiles, plastics, glass and much more. Also see raised TEXTUR3D!22; prints for a unique look and feel. Interior/exterior signage, custom promotional and cylindrical items like phone cases and bottles, and many more profit"12;boosting items are a snap"12; all with a single easy"12;to"12;use machine. To facilitate a complete demonstration and allow for an unrestricted exchange of ideas specific to your business objectives, we are limiting each time slot to one company or organization.